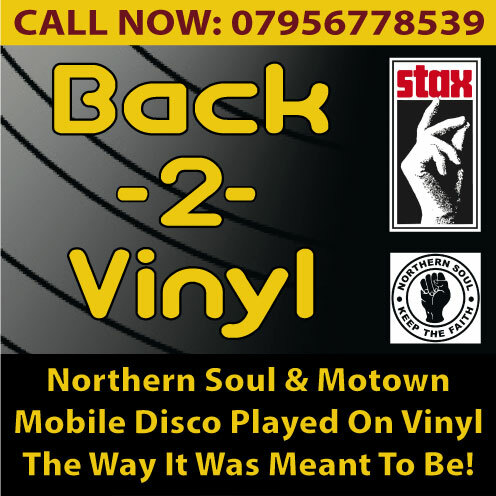 Tamla Motown, Soul and Northern Soul Vinyl only mobile Disco for Pubs, social clubs or even private party’s. Retro Back-2-vinyl night with interaction with the customers & a huge vinyl record collection with music from the 60s up to the 90s. Top quality sound system plenty big enough for up to 200 people. PLEASE NOTE: We Do Not Do Karaoke! 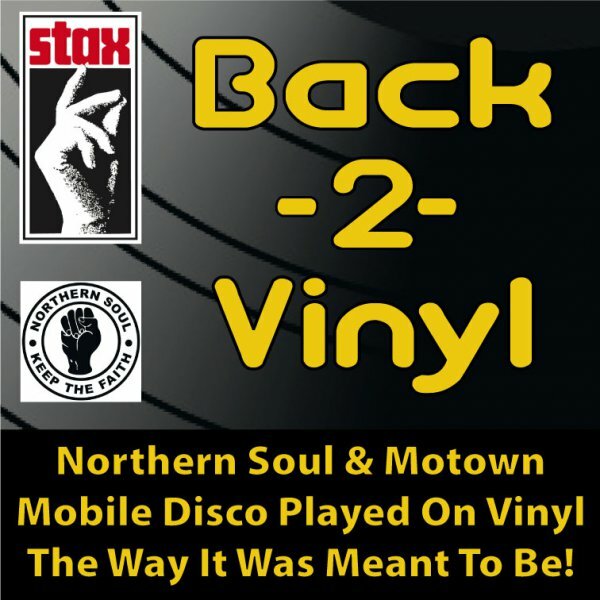 Have you seen Back-2-Vinyl Mobile Disco perform? Has Back-2-Vinyl Mobile Disco performed at your venue? Then why not leave them a review?